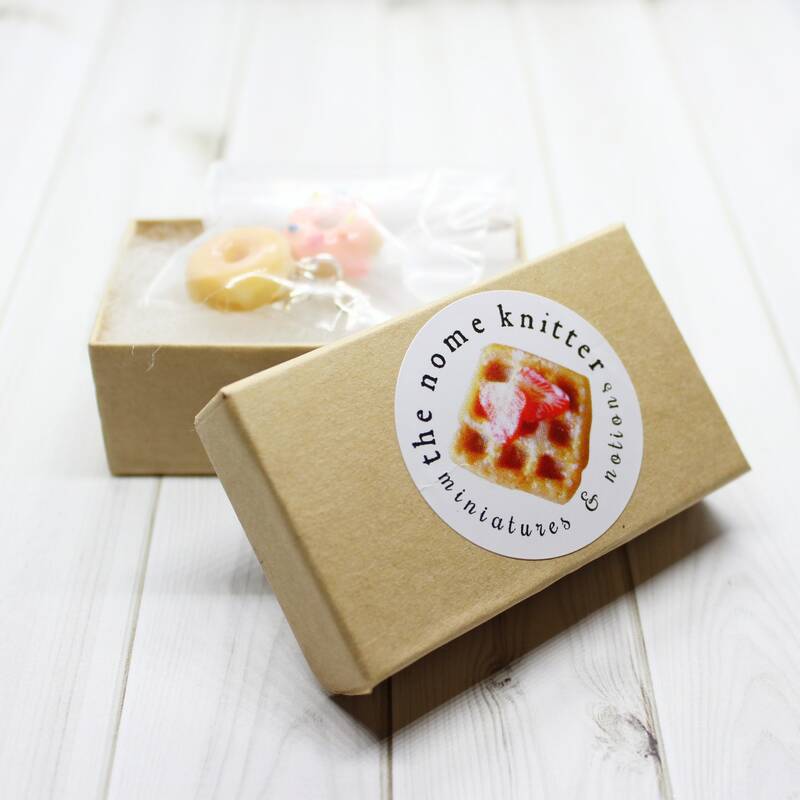 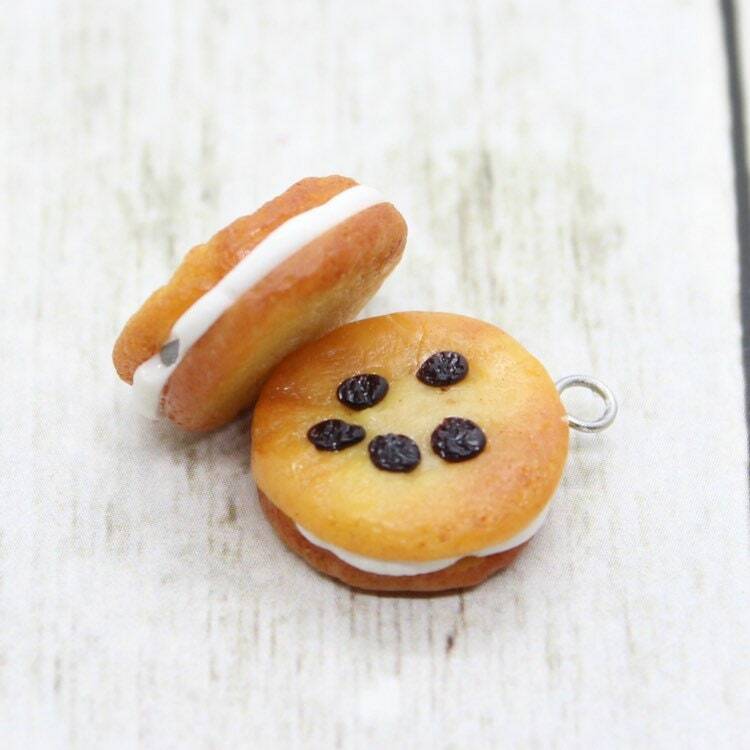 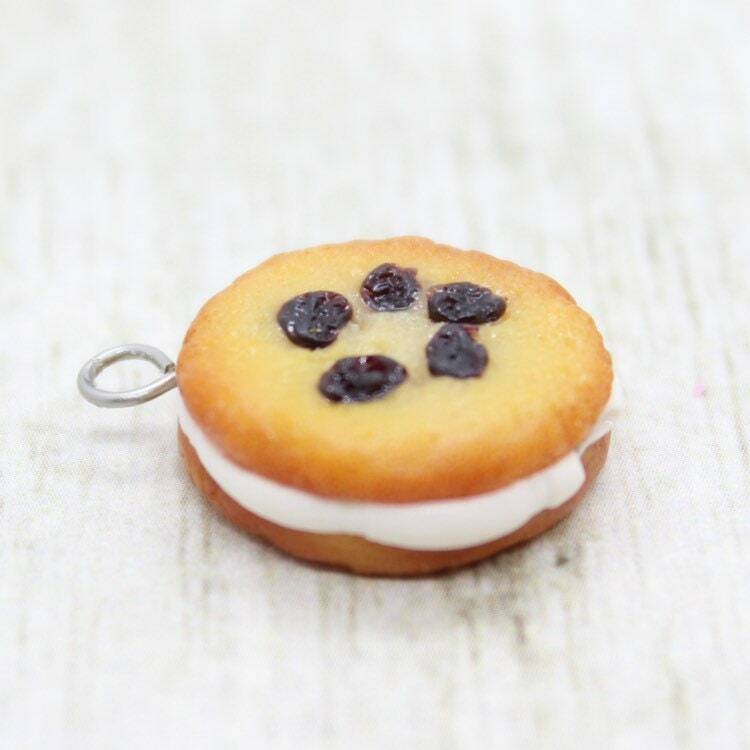 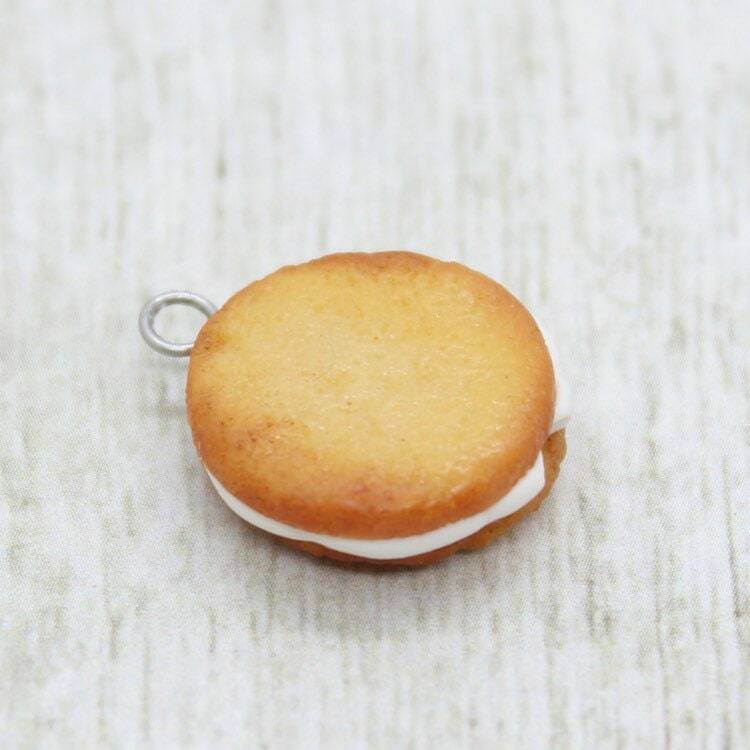 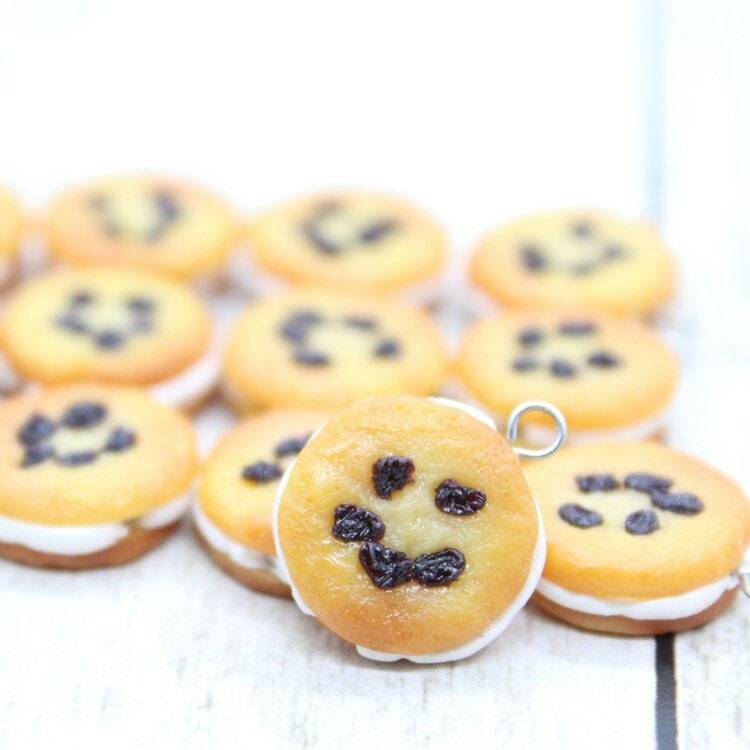 Add a sweet touch to any project with this charming little raisin creme pie charm! 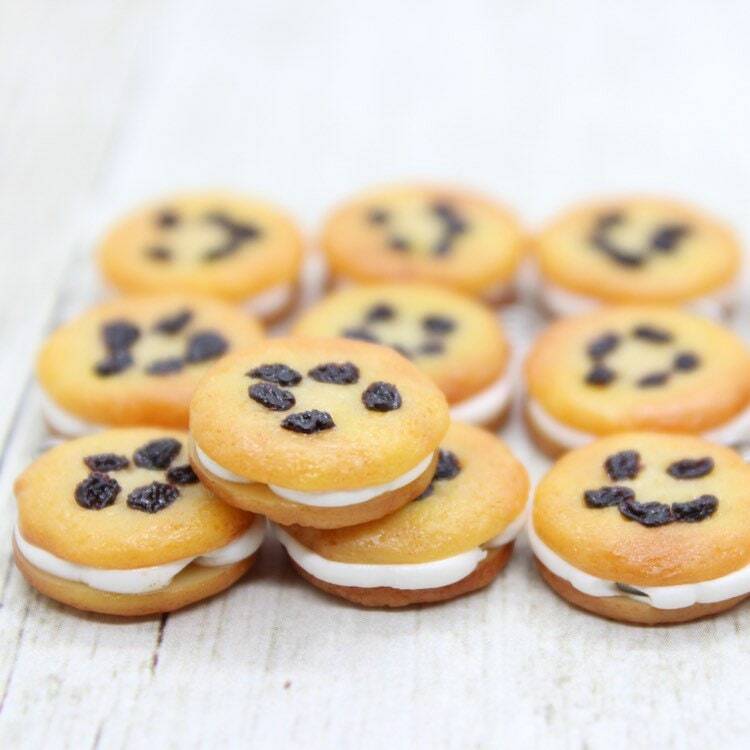 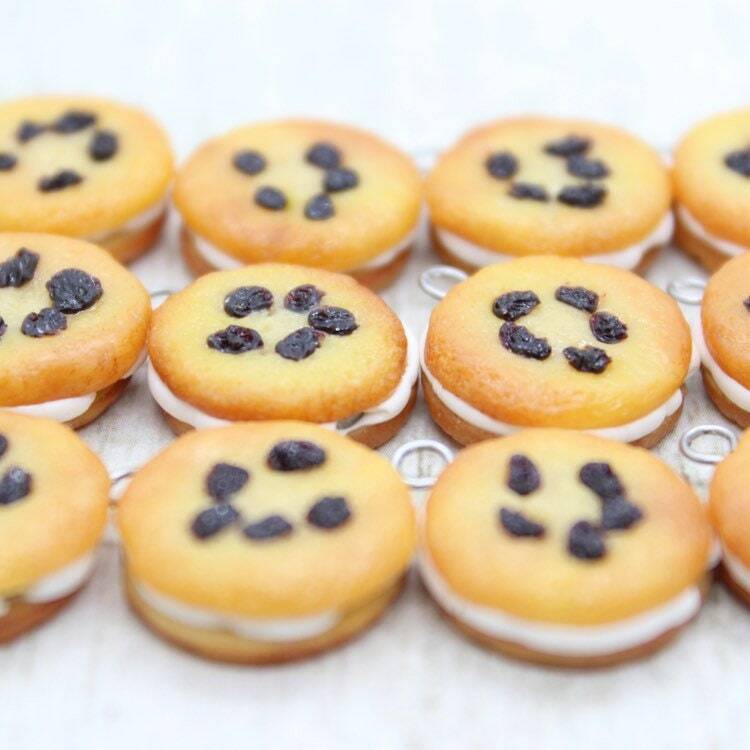 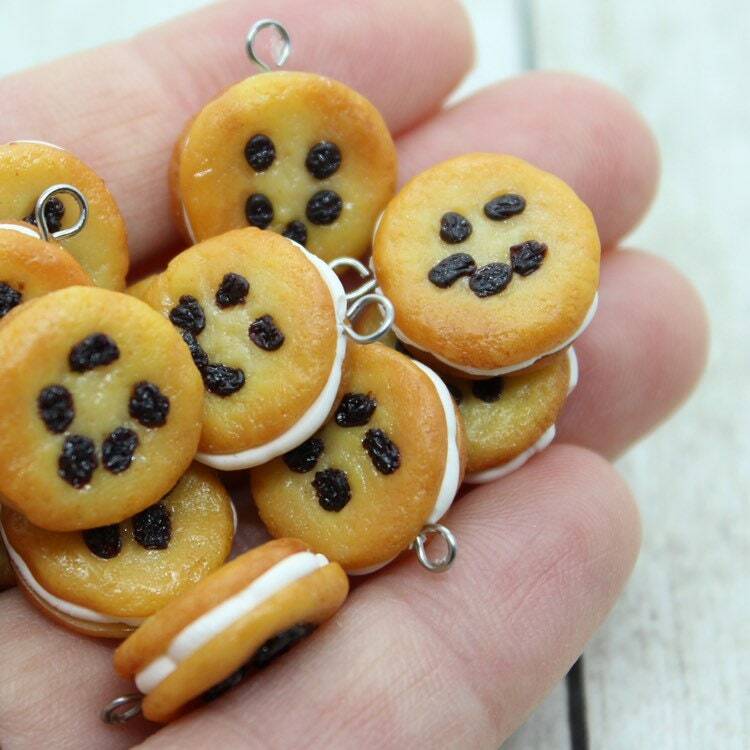 Soft vanilla cookies glued together with creme and sprinkled with raisins. 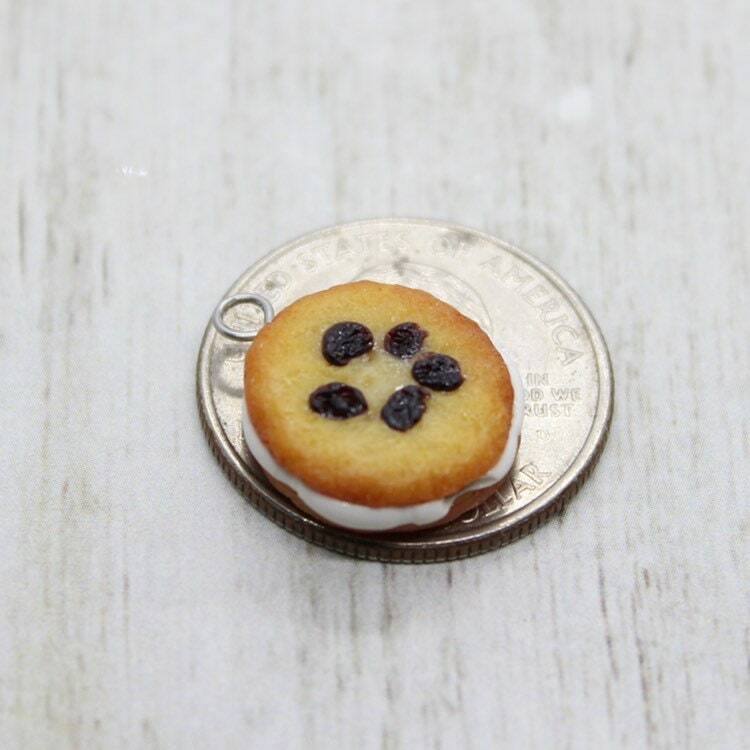 Afternoon snack, accomplished! 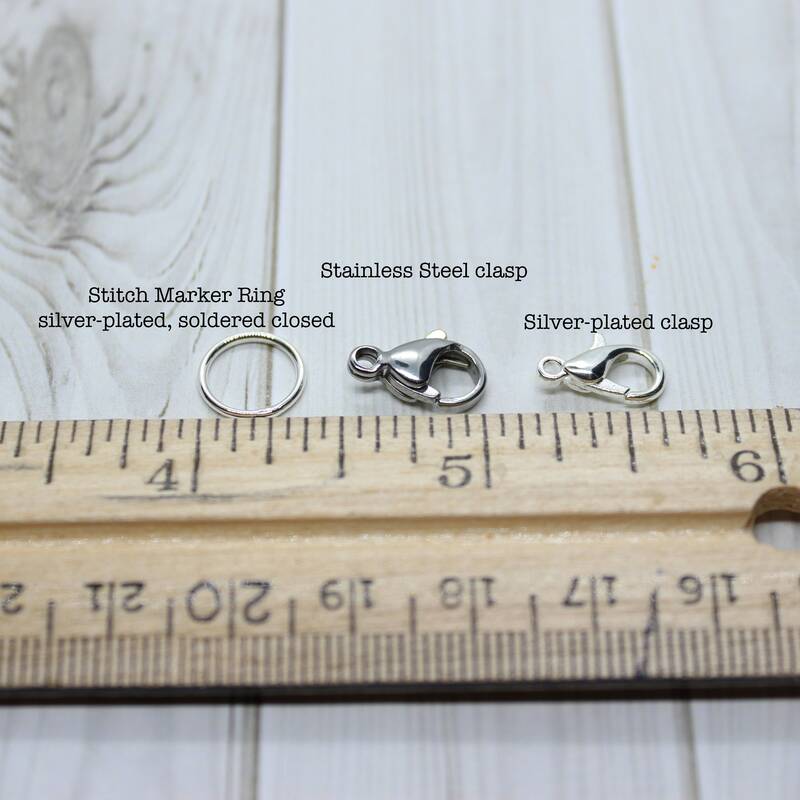 Charm measures approximately 5/8 inch, not including eye pin.